What are flaxwood's benefits compared to those of natural wood? In so many words, acoustic consistency and uniformly flawless quality. As it is rid of irregularities in composition such as the grain and knots found in traditional tonewoods, the acoustic response of flaxwood is such that it resonates with equal force in all directions, and gives an even dynamic response through a guitar's entire range. Flaxwood is also completely unaffected by changes in humidity, making it a more reliable tone material in changing conditions. Flaxwood is also an ecological alternative to wood species used in traditional instrument building that are slowly nearing extinction. How are Flaxwood guitars manufactured? Flaxwood guitars' bodies and necks are injection-molded, with the exception of the HYBRID, where the body is European Alder. The guitars are fully assembled by hand. All of the fretwork, adjusting and fine-tuning are done by hand by experienced luthiers. How does age affect a Flaxwood guitar's sound? 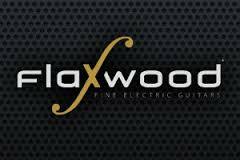 A brand new Flaxwood plays and sounds like a vintage guitar. Flaxwood is a natural tone material that is acoustically 'open' from the outset; you won't have to wait for years for the wood to settle and be broken in to get the best tone from your instrument. The sound is open and rich, straight from the workshop. Flaxwood is also practically immune to the effects of aging. In which temperature can I play the guitar? 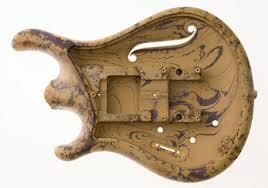 As with traditional solid-body guitars, avoid keeping your Flaxwood in extremely hot or cold temperatures. How does humidity affect the guitar? Flaxwood is completely impervious to changes in humidity. However, avoid long-term direct contact with water. How much abuse can flaxwood as a material take compared to regular wood? Flaxwood is a very sturdy material, on par with normal tonewoods as far as durability and strength is concerned - your guitar is not any more likely to break and not any less likely to break if dropped or knocked over than a guitar built from regular wood. However, as with all guitars, avoid direct, sudden blows to your instrument. When travelling, be sure to pack your guitar in a hardshell case to minimize the risk of damage. Is flaxwood especially sensitive to feedback? No. The Flaxwood handles feedback like any other semi-hollow, boutique quality guitar. The Flax resonator back plate was designed by our luthiers to amplify and enhance both the unplugged and plugged-in sound of the guitar. Unplugged, the sound of a Flaxwood gravitates towards that of an archtop guitar; plugged in, the back plate ensures an open and rich tone through the guitar's range. Is the Flax resonator back plate made of metal? No. 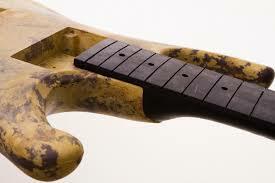 Like the body and neck, it is also made of flaxwood. What is the Tune-X Tuning System? Do I have to tune differently than I do now? No. With the Tune-X you simply tune the guitar normally. How does the semi-hollow construction of Flaxwood guitars work with high-gain active pickups? Although stylewise the Flaxwood is without doubt one of the more versatile all-around guitars, it must be noted that all our guitars have a basically a semi-acoustic architecture; one reviewer placed a Flaxwood on an architectural scale somewhere between a Gibson Les Paul and a Gibson 335, and this is a view we agree with. We mention this as some players who play in the heaviest high-gain spectrum have reported having feedback issues, most notably with the our EMG-equipped active pickup models, the Äijä and the Vasara. Other metal players have said that feedback has not been an issue for them at all. Still, we feel dutybound to bring this issue to public attention, and therefore recommend that if you are a very high gain player and are considering a Flaxwood, DO test the guitar at your actual performance gain levels to ensure that it suits your playing style and environment.